To coincide with the re-release of brand new, unabridged recordings of Ian Fleming’s iconic Bond novels as audiobooks by Audiogo The Telegraph Newspaper is offering readers the chance to download, Dr No, on This Saturday 8th Sept.
M dispatches Bond to Jamaica to look for a missing agent and his secretary who have both vanished under inexplicable circumstances, Bond suspects something is wrong and learns that the reclusive Dr Julius No could be connected with their disappearance. So he sets out to investigate but gets caught tresspassing and is imprisoned on Dr No’s private island, along with the exotic Honeychile Rider. Whilst imprisoned he discovers that Doctor No has a sinister plan which could threaten international security…. To claim your free Dr No audiobook, worth up to £15, as a download or in CD format, simply purchase The Daily Telegraph on Saturday, September 8 2012. I’ve also recently found out that Daniel Craig, who makes his third outing as 007 in Skyfall later this year, recently signed a deal to play James Bond in two more movies. The actor has been determined to stay in shape for the role saying: ‘I had to get fit and I have to stay fit because I have to be able to do stunts. Sir Roger Moore – who played Bond seven times from 1973 to 1985 – recently dubbed Daniel Craig the ‘the best Bond ever’, saying the latest Bond had ‘the best acting and the best build’ of any actor to play the part of 007. In the latest trailer for Skyfall Commander James Bond appears to fake his own death after he is hit by a bullet fired by his own colleague Field Agent Eve, played by Naomie Harris, while he grapples with an enemy on the roof of a speeding train, and is then seen plunging hundreds of feet from a viaduct into a river below after apparently taking a bullet. The main antagonist this time is, Raoul Silva, played by Javier Bardem, and the pair are said to be to share a ‘very special relationship’ that goes beyond the usual scope of the secret agent’s usual enemies. Skyfall is due for release in the United Kingdom on October 26. The Doctor (Matt Smith) is in Ancient Egypt with Queen Nefertiti (Rhiann Steele) when he gets an urgent call from Indira(Sunetra Sarker) at U.N.I.T who have intercepted a very large spaceship which is hurtling towards Earth and are intending to destroy it if it gets too close. 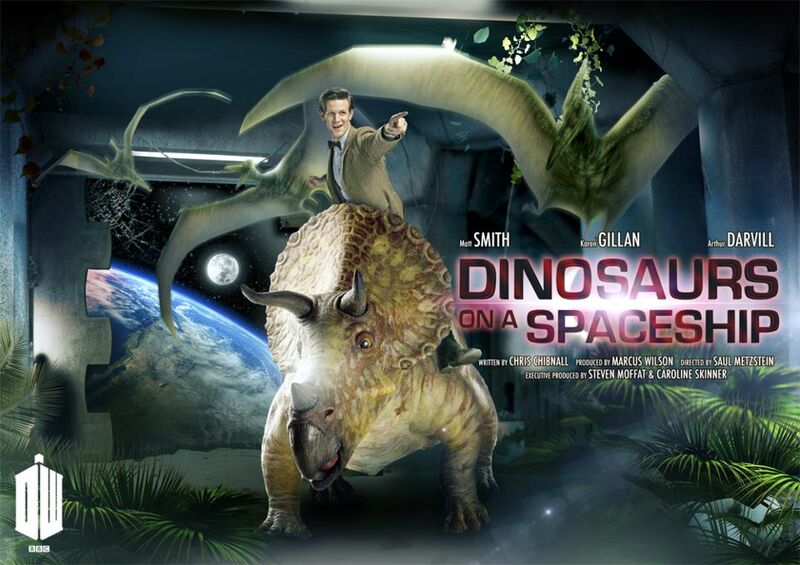 The Doctor asks them not to and during efforts to save the spaceship from destruction he finds himself joined by Queen Nefertiti, Amy, Rory, Rory’s Dad Brian(Mark Williams) and a big game hunter named John Riddle (Rupert Graves), who all end up aboard a Silurian Spaceship, which appears to be deserted apart from a valuable cargo of Prehistoric Animals, including two rather belligerent Ankylosaurs and some ferocious juvenile Tyrannosaurs. However they soon find out that the ship is not as deserted as they thought when they encounter a villainous inter-Galactic Trader named Solomon and his two rather camp sounding robots (voiced by David Mitchell & Robert Webb) who has a rather mercenary agenda. The late Great Keith Moon, The drummer with English rock group The Who, sadly passed away on 8th September 1978. He joined The Who in 1964 along with Roger Daltrey (lead vocals, harmonica and guitar), Pete Townshend and John Entwistle (bass guitar, brass and vocals), and played on all albums and singles from their debut, 1964’s “Zoot Suit”, to 1978’s Who Are You, which was released three weeks before his untimely death. He gained acclaim for his exuberant and innovative drumming style, which was dramatic, suspenseful and often eschewed basic back beats for a fluid, busy technique focused on fast, cascading rolls across the toms, ambidextrous double bass drum work and wild cymbal crashes and washes. He also gained notoriety for his eccentric and often self-destructive antics of Rock’n’Roll excess off stage, which earned him the nickname “Moon the Loon” and have since become the stuff of legend. He is mentioned in the Rock and Roll Hall of Fame as one of the greatest of all rock and roll drummers, and was posthumously inducted into the Rock Hall as a member of The Who in 1990. Moon’s legacy, as a member of The Who, as a solo artist, and as an eccentric personality, continues to garner awards and praise, including a Rolling Stone readers’ pick placing him in second place of the magazine’s “best drummers of all time” in 2011, nearly 35 years after his death.